Windage adjustment knobs: 1, for the Griffin & Howe scope mount, and 2, for the Lyman 48 receiver sight. 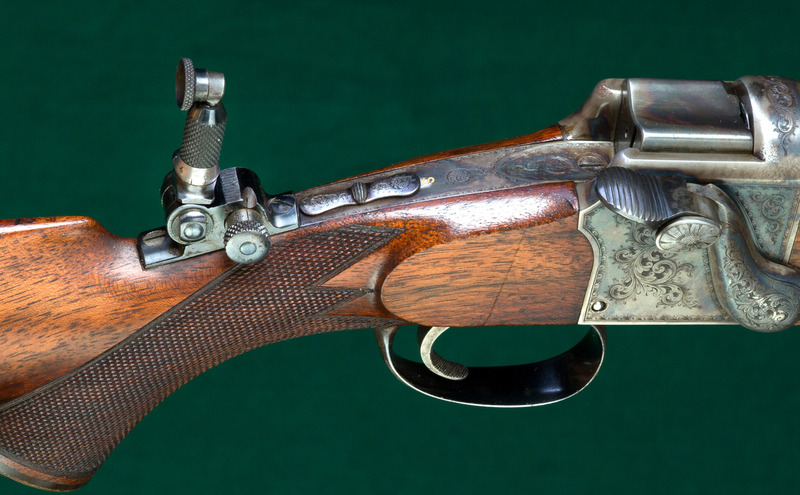 Windage adjustment for a tang peep sight on an Alex Henry/Dan'l Fraser single shot rifle. Windage - Adjusting the point of impact of a firearm in the horizontal plane; the knob used on an iron sight or telescopic sight to move the point of impact in traverse, right or left, to compensate for the sight's miss-alignment with the barrel or for the effects of wind. 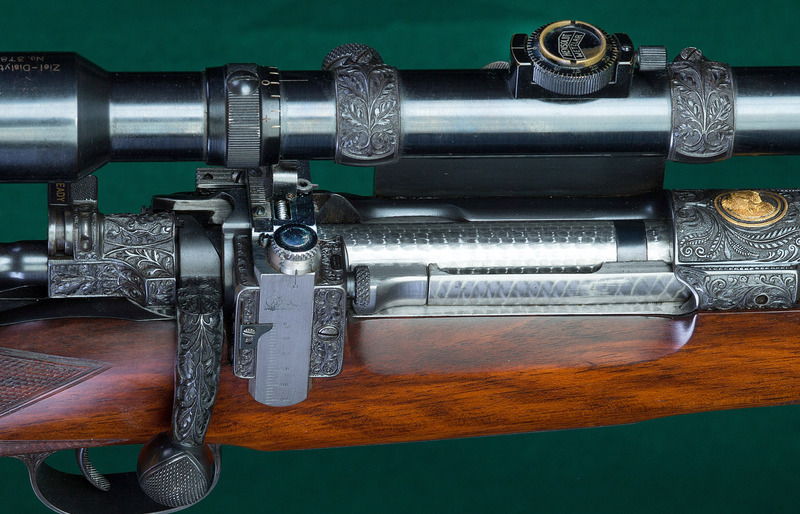 Elevation adjustment knobs: 1, for the pre-war Hensolt scope, and 2, for the Lyman 48 receiver sight. Elevation adjustment for a tang peep sight on the same Alex Henry/Dan'l Fraser single shot rifle above. Elevation - Adjustment of the point of impact of a firearm in the vertical plane; the knob used on an iron sight or telescopic sight to raise or lower the point of impact, to compensate for the sight's miss-alignment with the barrel or for the trajectory of the bullet at varying distances.